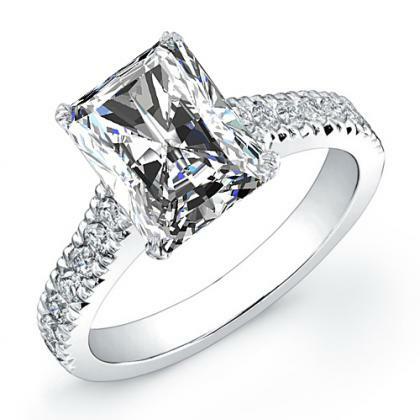 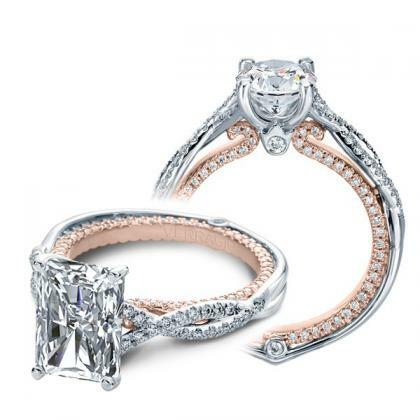 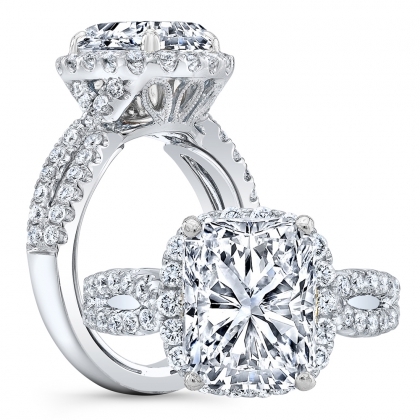 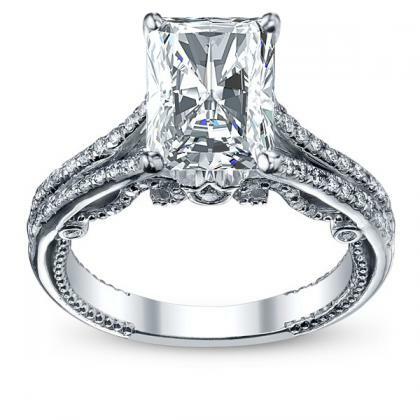 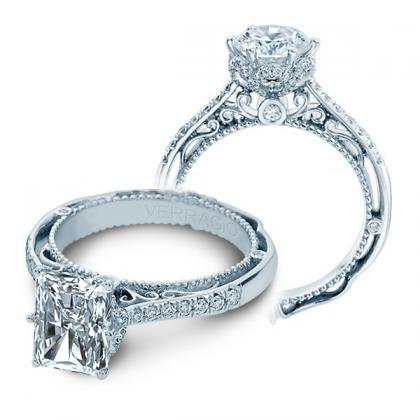 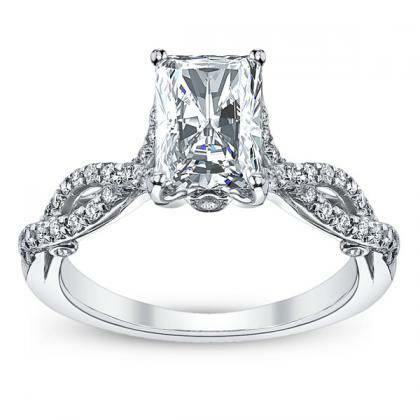 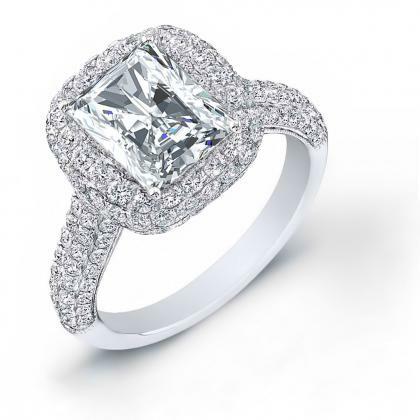 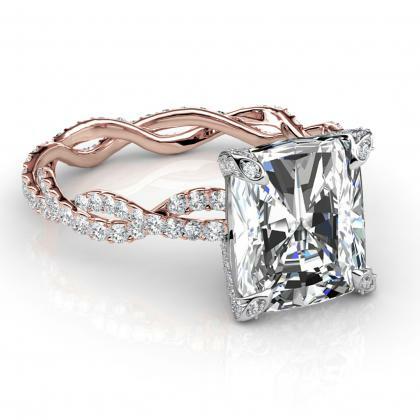 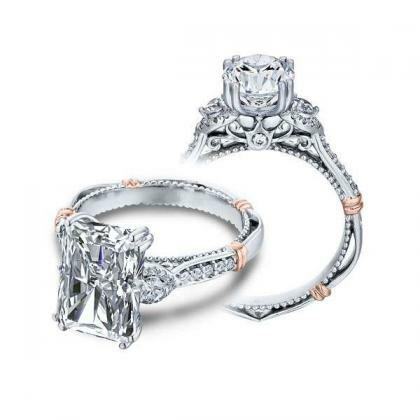 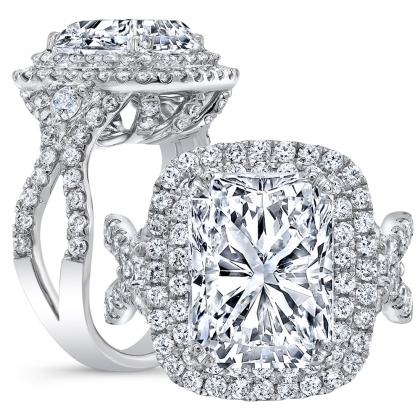 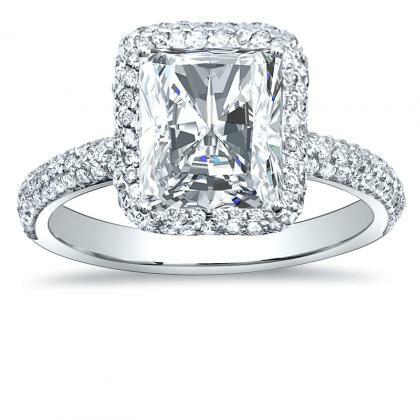 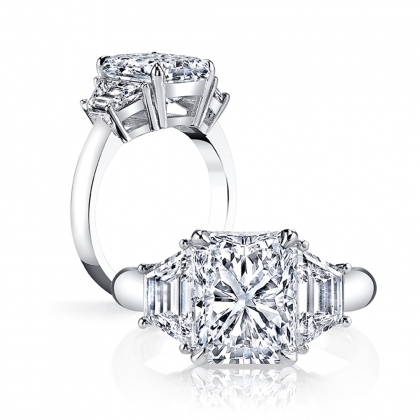 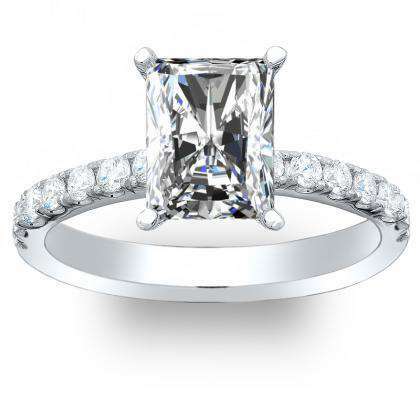 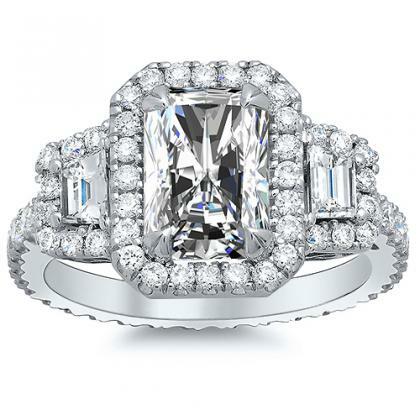 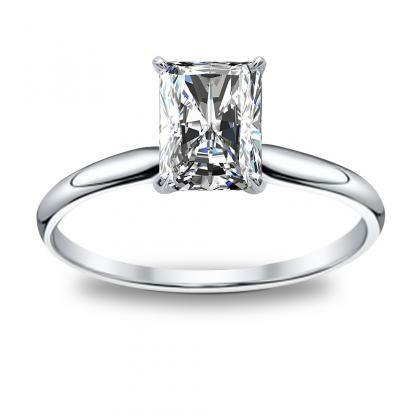 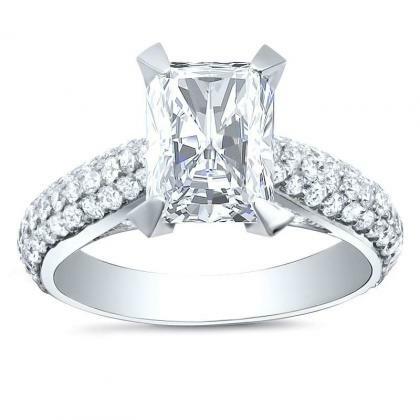 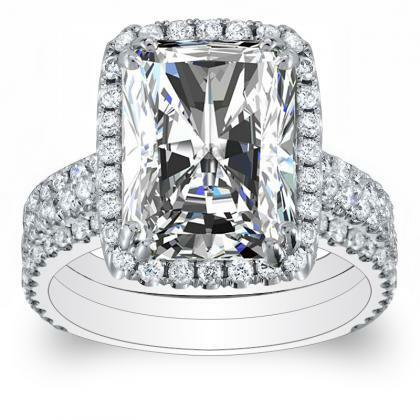 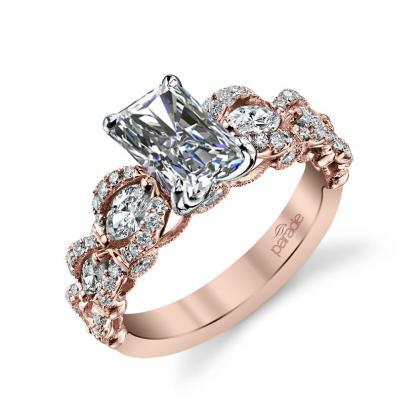 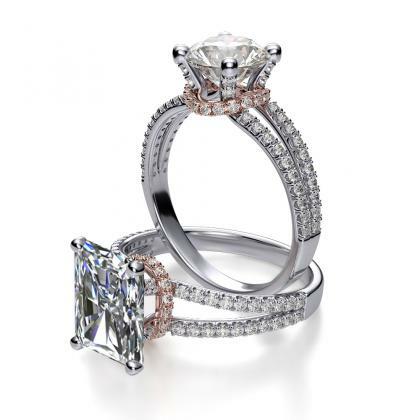 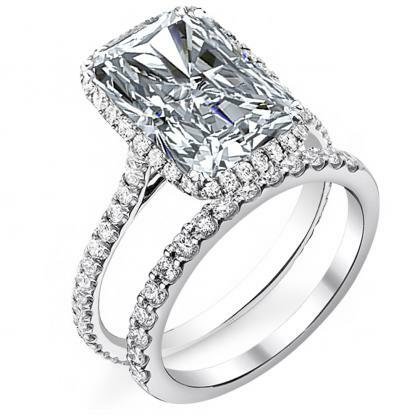 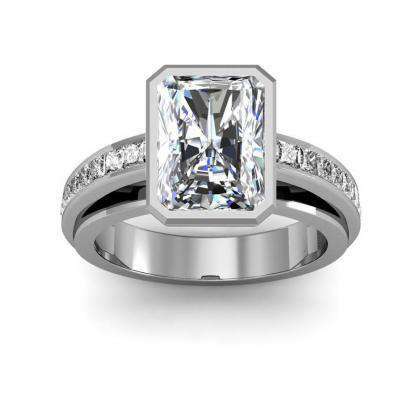 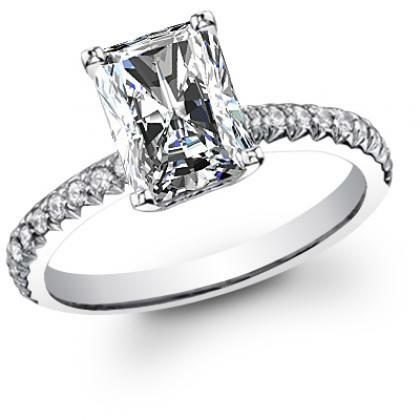 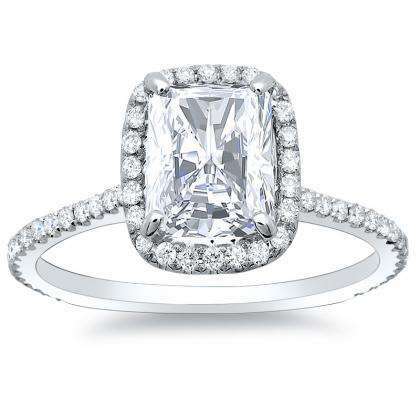 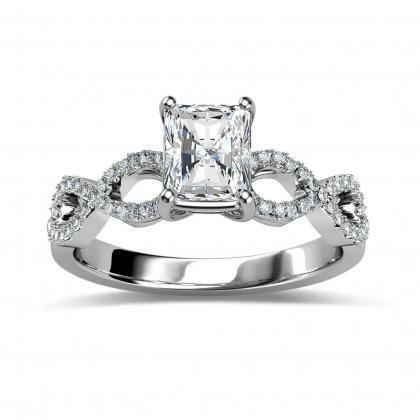 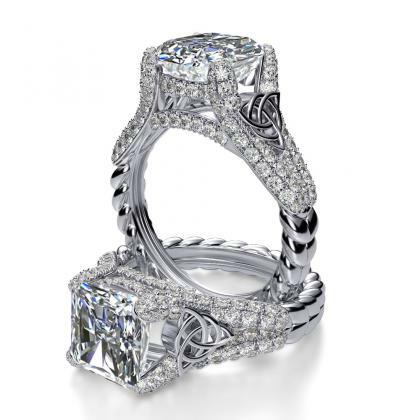 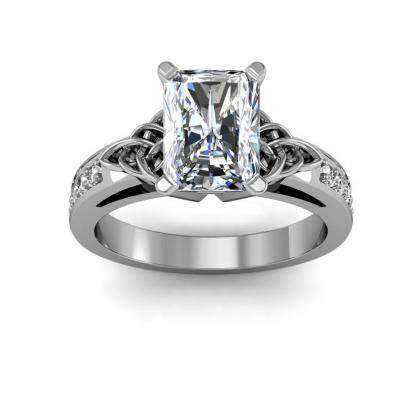 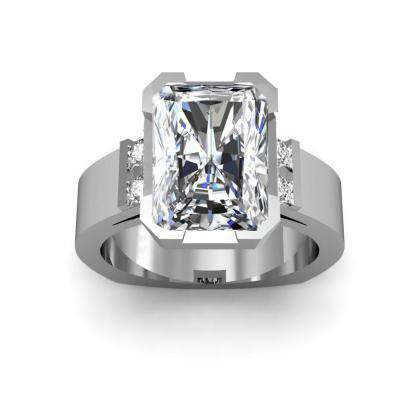 If you’re considering cushion and princess cut diamond engagement rings, you should also browse our selection of radiant cut diamond engagement rings. 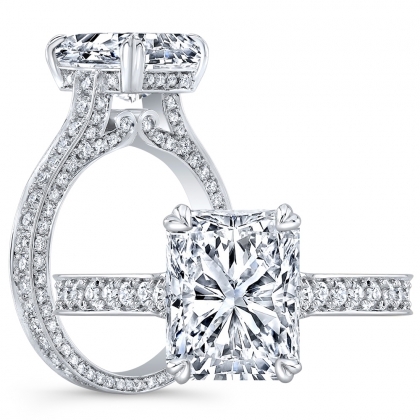 Radiant cut first became popular in the 1980s, and it has cropped corners. 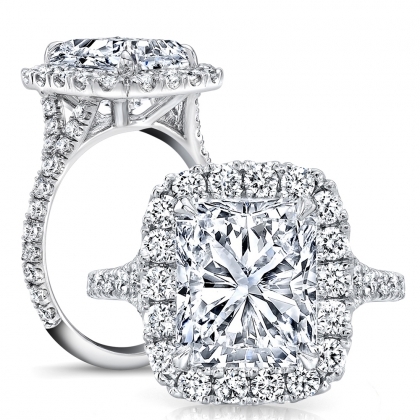 Like the round brilliant cut, it is very effective at returning light and sparkle.